Hair transplant whether done by FUT or FUE, after care of Hair transplant is same in both the procedure. Most important instruction given to the patients after hair transplant is to take care of the implanted grafts for first 10 days. It is important mainly because grafts take 8 to 10 days’ time to get fixed on the scalp, so if you rub them before this, they may come out and it is the loss of permanent follicle. So scalp must not be itched, scratched or rubbed in this period. At rejuvenate hair transplant center, we give gentle saline wash just after surgery o that blood drops is removed and washed away. 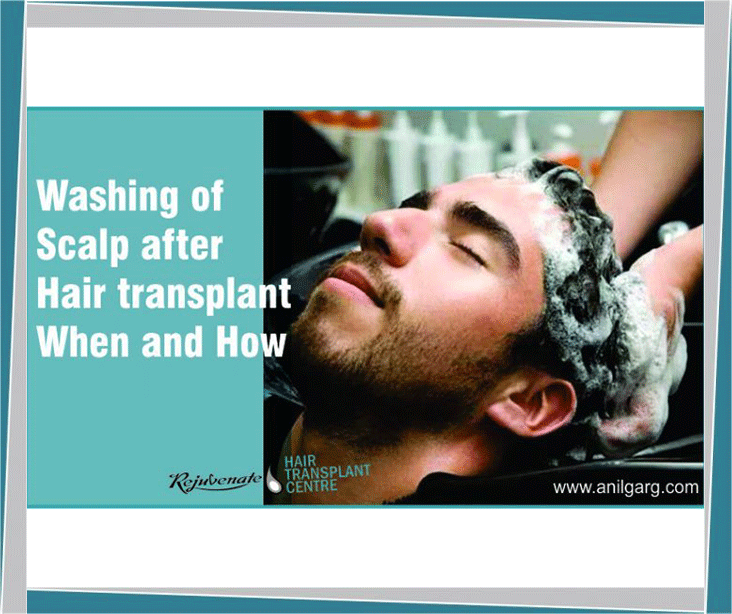 We give instruction to the patients that they should not wash their head for 3 days after hair transplant. After that they can start head wash with plane water but should not rub the scalp with hand or towel. Let the hair dry by themselves. If you are using shower –pressure of the water flow should be mild. In this period you may also face problem of itching—you can apply oil drops over scalp without rubbing it. Continue this head wash with water till day 9 post hair transplant. From the 10th day of hair transplant we advocate them to use shampoo with provide in it. Now he can rub his scalp gently. As grafts are now fixed. Before washing with shampoo if oil is applied 2 hours prior, it will help to remove scabs. Continue this shampoo for 4-5 days. Now after 15 days of Hair transplant you can use any of the ph balanced shampoo. Hair transplant is a safe surgery, not much of the precautions needed. But it is important that the instructions are given by the surgeon be followed carefully during and after the hair transplant process. This is done in order to take care of the implanted grafts and to attain desired results and preventing from any further infection.